Ever took a phone call and forgot what the other person said after you hung up? Sometimes you wish you can record those kinds of calls. But actually, yes, your smartphones can record phone calls. Some of us might not realize that this feature exists. But some users depend on this feature to take note of instructions, record a memorable call, record an interview, and many other useful things. 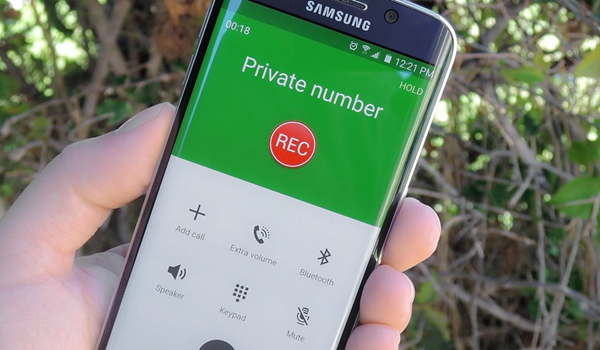 In this article, we will give you the list of the best call recorder app for Android. Record phone calls on Android easily and forgets about ever taking that notepad with you on the call, again. 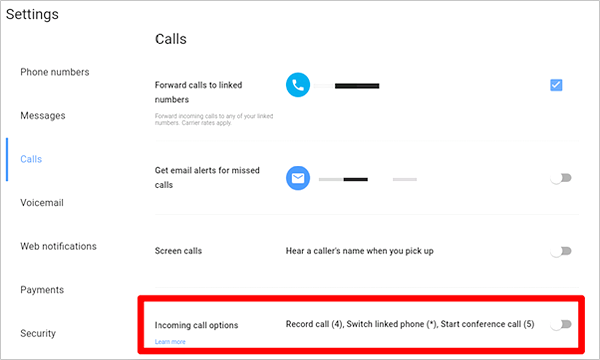 One thing to keep in mind: Now that we know that call recording using apps is possible on our phones, the next thing to do is determine if call recording is legal in your country. Otherwise, you would need to ask for the other party to consent to the recording, or you would need to inform them that you are recording the call. 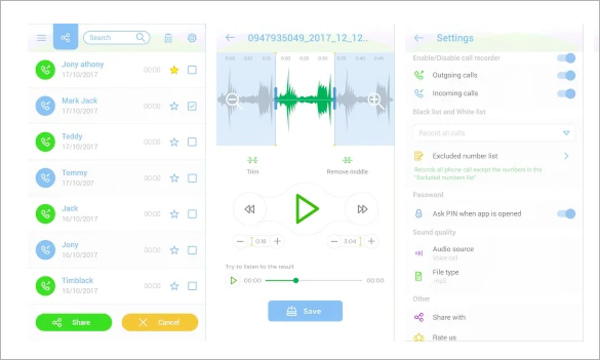 If you decide to use the feature, with caution, then here are the best call recording app to record phone calls using your Android phones. Step 1. Go to www.google.com/voice to download the app. You can also download the app on Google Play. Step 2. Launch the application and make sure to read the terms and condition. You can set up a phone number after. After entering the phone number, the app will allow you to go to the Setting menu. Step 3. Open the Settings menu and choose Calls. Check the box next to Call Options. Step 4. To record the call you can press the 4 key. You will now be able to record incoming calls. Google will save the recordings on your inbox and you can access them from there. 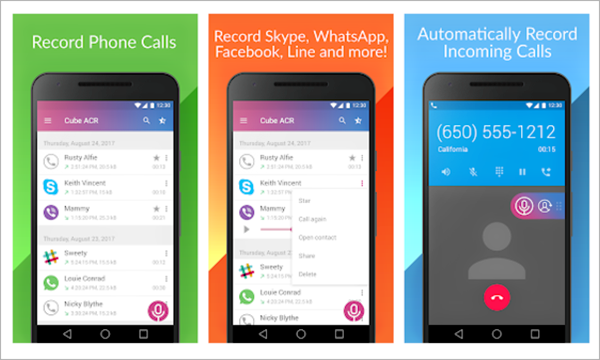 Automatic Call Recorder is a free call recording app for Android. This app can be used in mobile phones with the operating system Android 4.3 and later versions. It comes in different languages including English, Spanish, and German. Step 1. Go to the Google Play Store. Search, open and install the app. It is recommended to try the free version before paying for the paid app. This will tell you if your device is able to record clearly. Step 2. Set up the application, and the settings. The app comes with three settings. Record everything will record all of the calls. Ignore everything will record calls from your pre-existing contacts. And Ignore Contacts which will record the calls from all those who are not in your contacts. Step 3. To check your messages, the default storage is your inbox. Step 1. Go to the Google Play store. Search and open the app. Step 3. Once installed you can set up your preferences. You can automatically record every call. Or you can record calls from selected contact. And you can record manually by taping the record button during the call. Cube Call Recorder also allows you to record conversations you only want to be recorded. 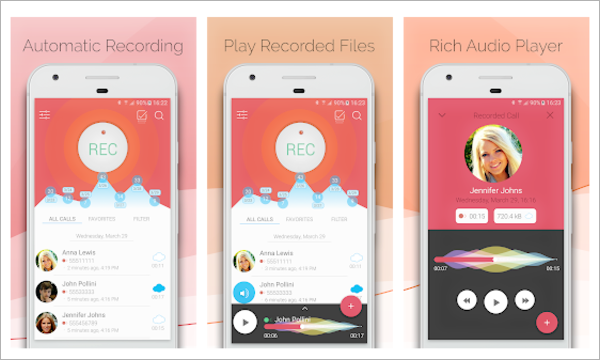 It gives the user an in-app playback, a built-in file explorer, and easy management of recordings. You can play them or save them on other devices. It even features an audio tuning to help you record calls clearly and the way you want it. What we really love about this app is that we can use in on our tablets! Step 1. Go to the Google Play store and look for Call Recorder app. Open and install the app. Step 2. The app will prompt you to set up. The settings default to automatic recording. Step 3. Recordings are saved as mp3. You can playback or save it on other storage. Step 1. Go to the Google Play store and look for REC Call Recorder. Open and install. Step 2. After installation, you will be asked by the app to set up your preferred settings. You can enable call summary so that the call recorder will immediately appear after the phone call. Step 3. You will also be given the option to choose which file format you want the audio recording to be saved. Step 4. 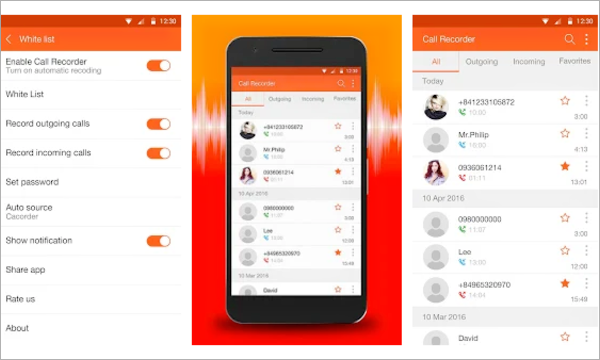 Just like other call recording apps REC Call Recorder also allows you to enable or disable call recording. Step 5. If you want to listen to the recordings on other devices, you can save the file to your SD card. These apps exist with the developers presuming that they will be used fairly. It always recommended knowing if the law in your location allows you to record calls without consent from the other party. Once you got this verified, you can check all these apps that we listed as the best call recorder app for Android. Record phone calls easily and responsibly. 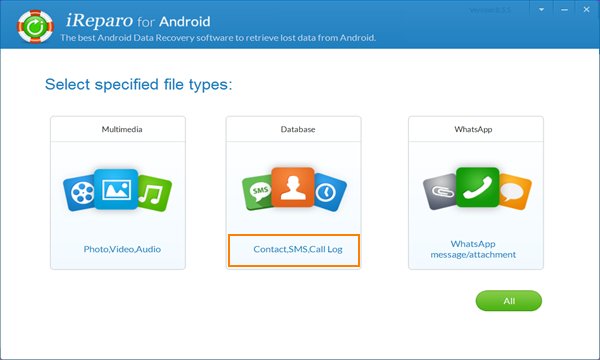 Tips: iReparo for Android is a powerful data recovery tool for Android phones and tablets. It can recover deleted or lost contacts, text messages, call logs, WhatsApp chat history, photos, videos and music from all popular Android brand devices, including the latest models of Samsung, Huawei, HTC, Google Pixel, LG, Motorola, OnePlus, etc. If you lost data due to accidental deletion, factory reset, ROM flash, etc., iReparo for Android can be a good assistant to recover deleted files from Android.